Couples night will give lovebirds the opportunity to learn about the world of cigars. You will taste different brands and flavors plus enjoy your choice of drink. Tickets are $25 and include 1 drink and 3 cigars. 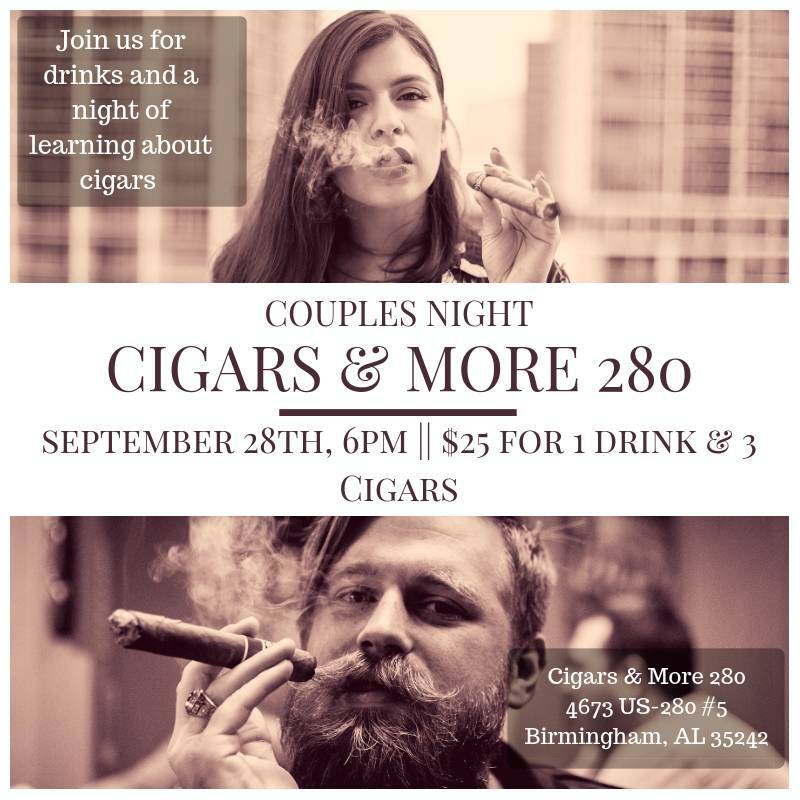 Allow Cigars and More 280 to help you take your date night up a notch with this one of kind event.